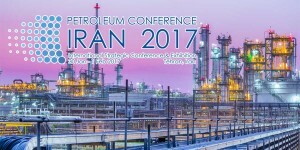 Petroleum Conference – Iran is a three-day event integrating a strategic conference programme, international exhibition of global technologies and services and high-value workshops. The conference will deliver updates on current commercial projects and insight to the investment opportunities presented by Iran’s petroleum sector. The organising committee is working closely with key associations in Iran to deliver this three-day conference programme, ensuring delegates benefit from expert, proven local knowledge. The agenda includes focused workshops exploring the regulatory and fiscal frameworks supporting partnership, growth and development in the sector, offering an invaluable insight into the projects and commercial opportunities available and how to win and develop business in Iran. International and domestic exhibitors will also benefit from enhanced networking time to forge new partnerships and relationships with clients and key decision makers. The exhibition space and sponsorship opportunities are available to book until the 15th of January 2017. Delegates tickets are limited to 800 and available online now. Media partnership is offered too and the closing date is 30th of December. All partners signed by the 15th of September will be promoted across two events, the national launch in October this year and the International Petroleum Conference in 2017.